Tomorrouu, another warship will join the fleet. With a controllable pitch propeller proven in service to satisfy mission require- ments: €xtreme reliability. Tactical quickness. Quiet running. Shock resistance. Controlled noise signature. Cruise economy. 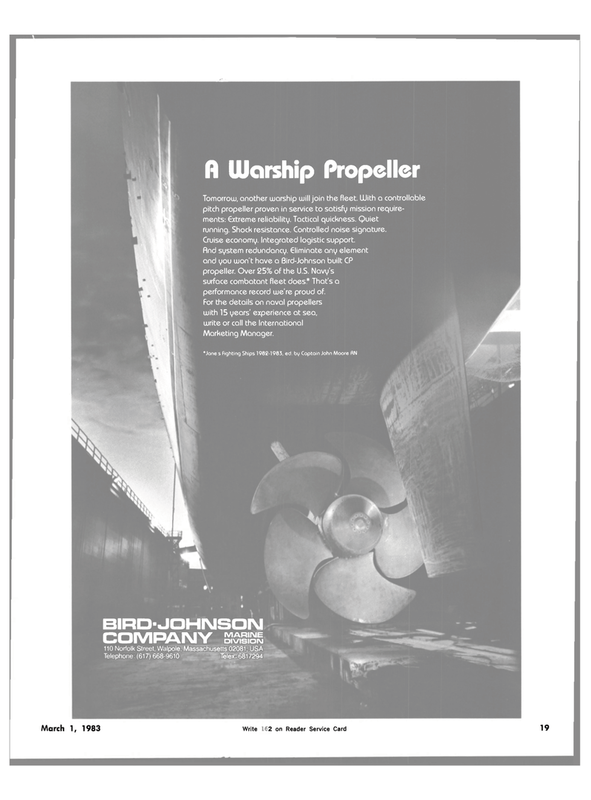 Integrated logistic support, find system redundancy, eliminate any element and you won't have a Bird-Johnson built CP propeller. Over 25% of the U.S. Navy's surface combatant fleet does* That's a performance record we're proud of.